One of Albania’s most iconic communist-era landmarks is set to be transformed into a new culture and technology centre. Dutch architecture firm MVRDV unveiled plans to turn the imposing Pyramid of Tirana into a new urban hub, reclaiming the building for the public with new glass walls and light open-plan spaces. The Pyramid’s gently sloping sides will also lead to a new rooftop terrace, with panoramic views of the city below. 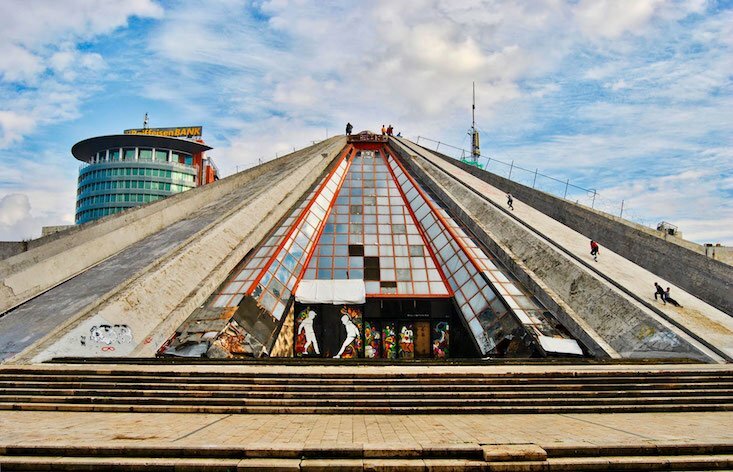 The Pyramid was originally built in 1988 as a museum to the country’s socialist leader, Enver Hoxha. It was later repurposed as a nightclub, an event space, and even as a temporary base for NATO soldiers during the Kosovo War. More recent plans hoped to transform the structure into Albania’s National Theatre, but the building was left abandoned when the scheme failed to materialise.